Recently, a 42 year old female presented to our office, with a desire to improve her smile. 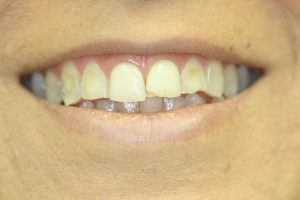 She had veneers previously, but they were now old and worn. She was apprehensive about dental care. She stated her teeth were sensitive. Her initial presentation is shown below. 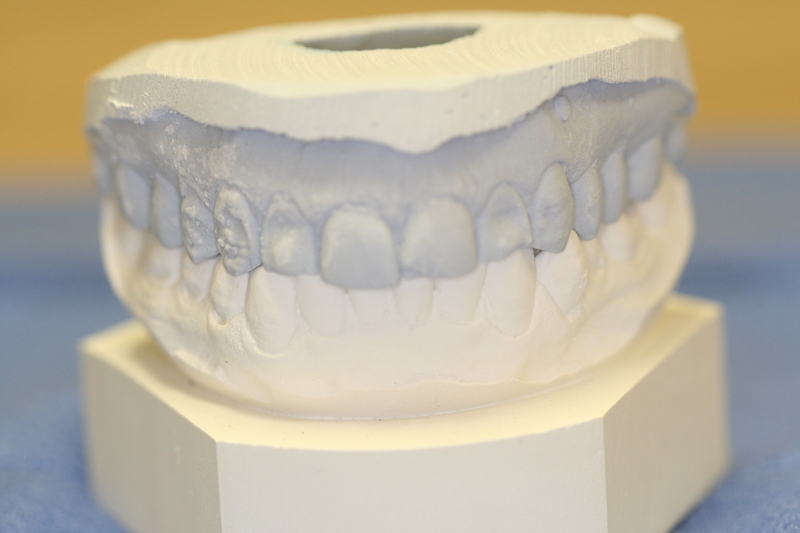 Our prescription for success includes waxing a simulation of the final case so that the patient can evaluate what the finished case will look like before the dental care is undertaken. The pre-treatment version appears below to the left and the waxed computer simulation version is below to the right. 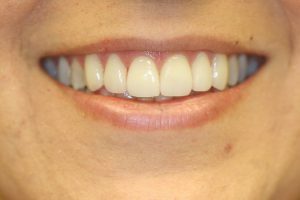 After further discussion and evaluation with the patient it was learned that she wanted to lighten the color of her teeth. So before beginning the cosmetic care the patient bleached her teeth at home with a very mild bleaching agent. After 2 weeks of bleaching her teeth at home, the teeth were then prepared for Porcelain Veneers. An impression was recorded and shading values were taken. 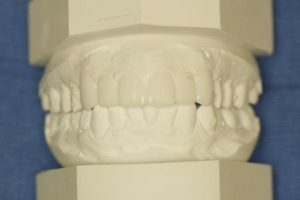 Temporary veneers were then fabricated. 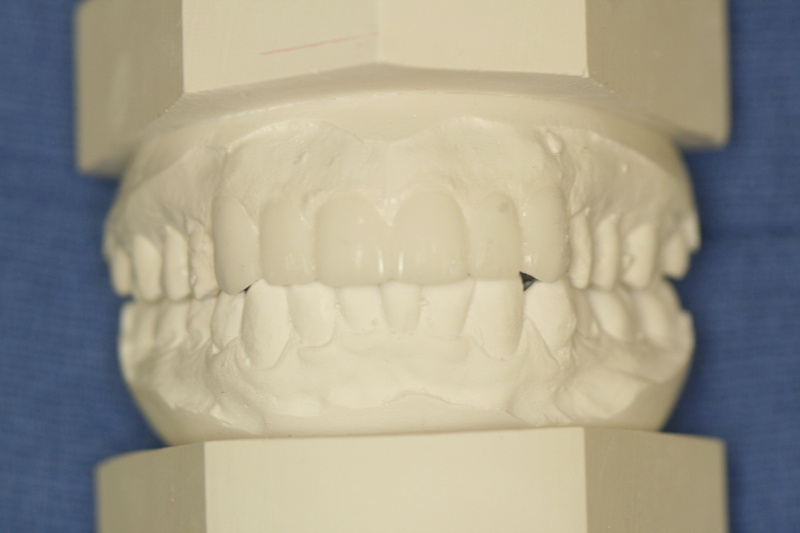 The laboratory then proceeded with the fabrication of the Porcelain Veneers. The completed case is shown below. If you are interested in learning more about this case or any other, please feel free to contact us at eastboyntondental.com.